Bad Breath or Halitosis is a condition in which a person tends to exhale fouls smelling breath from the mouth. Unfortunately, people who suffer from this disease are completely unaware of their problem and the discomfort they cause to others. and Your bad breath is interfering with your social or professional success. and You frequently have a bad taste in your mouth. and People step back from you when you are talking to them, or they avoid direct contact with you. and Somebody has commented on your bad breath, or offered you mints or chewing gum. 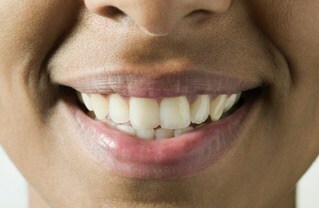 Another common cause of halitosis is bad teeth and gum conditions. Dental decay at the roots of the teeth may result in abscesses in the gums with foul-smelling pus giving an objectionable odor to the breath. Even small holes in the teeth may provide a place where germs can multiply and release foul odor. Most cases of bad breath, however, are caused by gastro-intestinal disorders, intestinal sluggishness and particularly by chronic constipation. The unpleasant odor results from an exceptionally large amount of waste matter expelled through the lungs. Foods are absorbed into the bloodstream and then transferred to the lungs, causing noticeable odors when exhaled. These foods may also cause gastrointestinal upset and belching, which can contribute to bad breath. Low carbohydrate diets may also cause what is known as ‘ketone- fruity breath. Dentures or dental appliances, such as braces, can contribute to bad breath. Most often it is due to food particles that are not properly cleansed from the appliances. Loose-fitting dentures can contribute to sores and localized infections in the mouth, which can cause bad breath. Overnight, bacteria accumulate in the mouth, causing bad breath that is commonly referred to as ‘morning breath.’ Some people breathe through their mouth at night, which can cause dry mouth and worsen morning breath. and Keep your mouth moist by: drinking water, and chewing sugarless gum or hard candy to stimulate the production of saliva. and Mouthwash provides a temporary way to mask bad breath odors, but it may not treat the underlying cause. and Natural bad breath remedies include chewing on mint or parsley. and Specific medical treatment to cure bad breath depends upon the cause. and In patients who suffer from dry mouth (xerostomia), artificial saliva may be prescribed by a dentist. and Dentists can also prescribe special toothpaste and mouthwash that can improve the symptoms. and If the patient’s dentist determines that the bad breath odor is not of oral origin, the patient may be referred to a physician. and If the odor is due to gum disease, the dentist may refer the patient to a periodontist, who specializes in treating gum conditions. and Medical Treatment-Treat the causes.